Grab your girlfriends and come for a fun time! I am passionate about the Holiday season and what this time of year brings into our homes and to our families. I absolutely love to share this season with others. 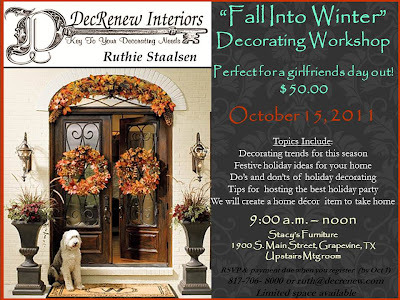 I thought this workshop would be a fun way for woman to connect and have "girlfriend" time together." We all need something to look forward to! 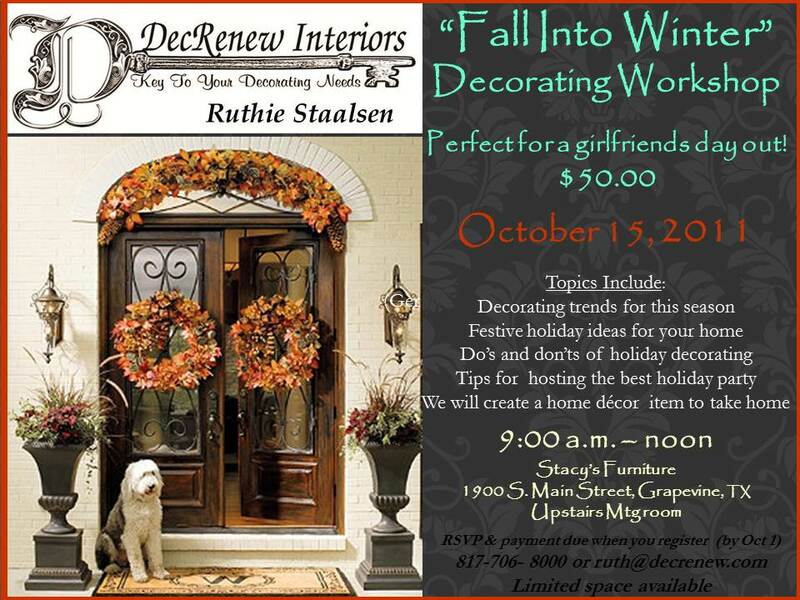 Great way to bring in the Fall season!